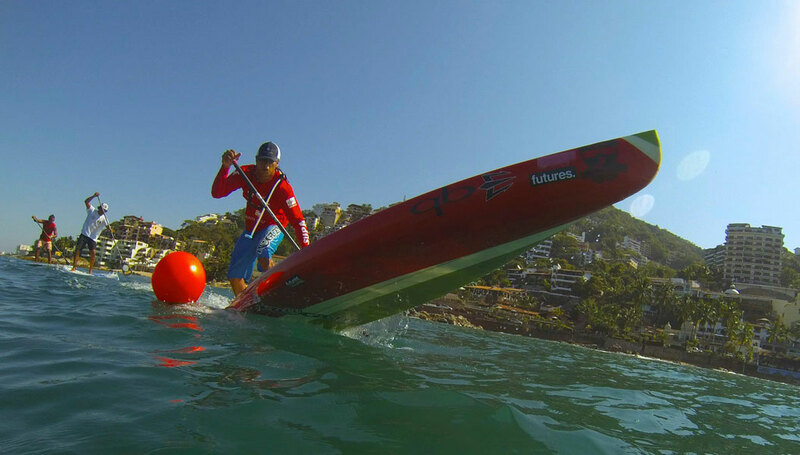 Take a look at the SUP racing action from Mexico on the weekend, with the Copa Barracuda in Puerto Vallarta. Most of the paddlers from Mexico’s SUP Team were on show including international stars Ryan Helm and Fernando Stalla. In the 10k race it was Ryan who led the way, putting in a good few minutes on Fernando and the rest of the field to take out the victory. Veronica Nava took out the women’s race while Karen Jacobson won the sprints. Is it just me or does everything look more fun in Mexico? It’s a big month coming up for SUP in Mexico: First the national team will be on show at next month’s ISA World Champs in Peru, where they’ve got a good shot at a few medals. Then the weekend after that it’s the massive Punta Sayulita Classic, which will attract a good chunk of the world’s best paddlers to Mexico for one big party SUP race. Photos thanks to Karen Jacobson, who you’ll be able to catch in the SUP surfing @ next month’s ISA World Paddleboard Champs and Pacific Paddle Surf.